In early 2017, we took a close look at the growth of Google products in the classroom—and what Google may be getting out of the deal. So, what's changed since then? Over the last 20 months, Google's dominance in K-12 classrooms has only grown. In fact, the top five digital products used in the classroom are all Google products. But oddly, Google has largely gone silent about their spectacular growth. 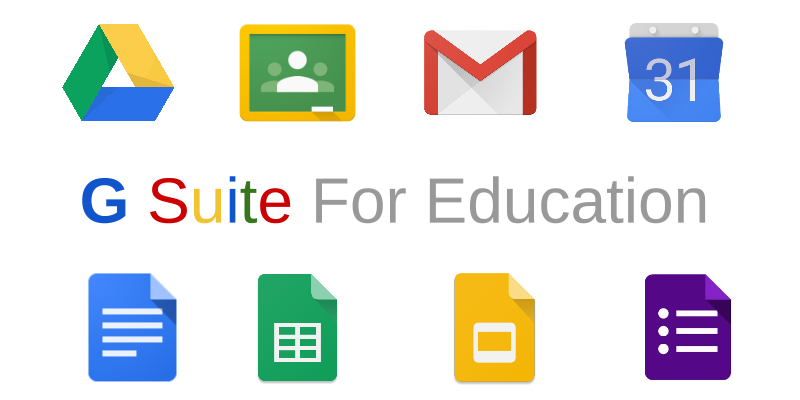 After trumpeting their growing user base steadily for several years, Google last updated their official user numbers for the G Suite for Education products in January 2017. At that time, they reported that they had reached 70 million active G Suite Education accounts. Since then, Google has not been public about their continued growth. So, what gives? Did they reach a plateau? I doubt it. I believe executives at Google decided that it is no longer advantageous to trumpet their reach in K-12 schools, now that they have moved from being a rocketing success to a disquieting monopoly. Over the last two years, we have seen some pushback against the rise of Google products in the classroom from privacy experts and some district technology leaders. A 2017 New York Times article, How Google Took Over the Classroom, reported that more than half of K-12 students in the U.S. use a Google product like Google Docs or Gmail, and details some of the privacy concerns that arise from Google's business model. Part of the concern is that Google hasn't been exactly forthcoming in explaining what that model is. Whenever education apps are provided for free, you have to be concerned about the tradeoffs you may be making in student privacy and safety. It may be difficult to identify the business model for many smaller ed tech companies. But for Google, the benefits of getting students hooked on Google products early are actually pretty clear. Their ultimate goal is to create lifelong Google users. Each student on their education platform that converts to a standard Google account on graduation is estimated to add about $500 to Google’s market capitalization. Google has made that transfer process very easy: Google support gives a simple seven-step process for students to move their Google Docs and email from G Suite to a standard account. The default settings in the administrator controls for “Google Takeout” allow all users to transfer their content to a standard account. So I suspect that G Suite for Education has continued to add K-12 students. If they continued at the same pace as the past few years, they would have between eighty and ninety million K-12 users now—almost twice the total number of K-12 students in the United States. They’ve stayed quiet about their continued growth because they don’t need the publicity, and they’d rather not raise the kinds of questions raised in the Times piece above: have these kid’s digital futures been sold too cheaply? Should they have been sold at all?